Quick, name a famous female pilot. 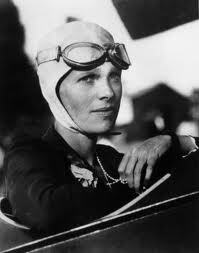 You said ‘Amelia Earhart’. Name another. Specifically, name a Canadian. Drawing a blank? Well, Canada has a rich tradition of female aviators. A traveling exhibit from the National Museum of Aviation in Ottawa, High Flyers, illustrates the role women have played in Canada’s aviation history. 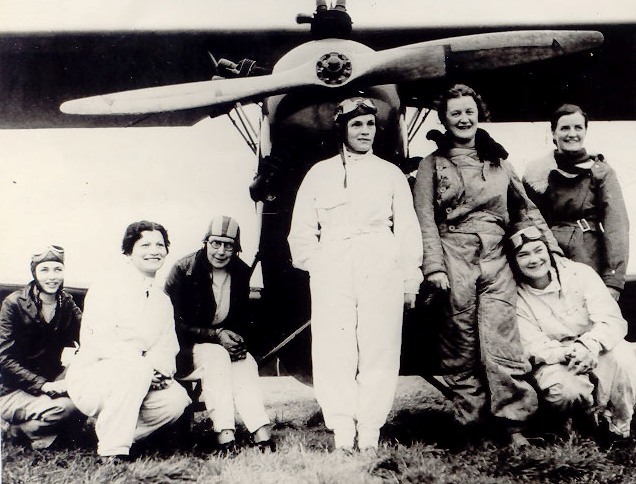 The hope is that sharing this important history may spur young women to follow in these pioneers’ steps, and to look at aviation as a field that can provide many opportunities. 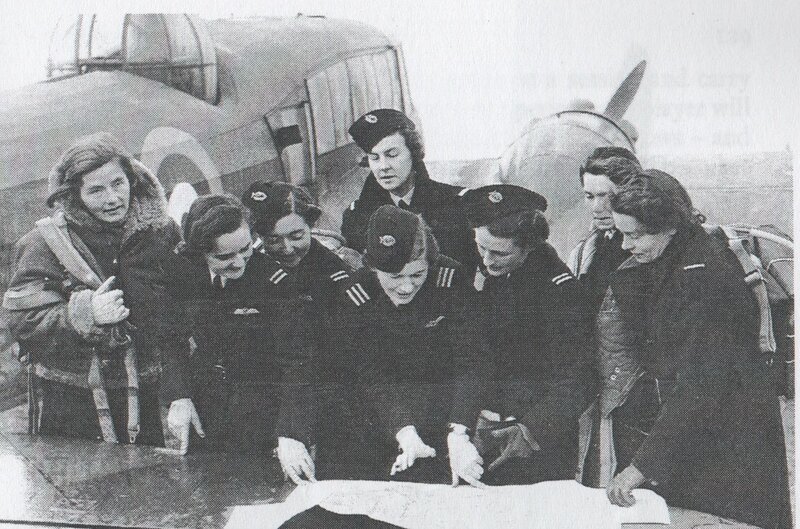 The exhibit celebrates this group of strong-willed pioneers and pays tribute to Canadian women in aviation from before World War II through to today. Back then, female aviators were a novelty—the press called them ‘Flying Flappers’, ‘Angels’ and ‘Sweethearts of the Air’. 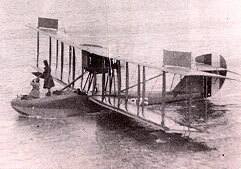 Normally, pilots wore heavy gear as protection from fumes, noise and the elements. But when photographers were around, famous female aviators such as Amelia Earhart and Jacqueline Cochran wore blouses, scarves, make-up and tailored slacks. Their worry was that figure-veiling suits would repel non-flying women, and it was believed that if women looked fresh and glamorous after a flight, it would show other women that flying was safe and restful. 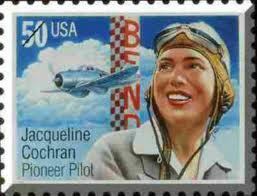 World War II should have been a boon for female aviators. Instead, the Canadian military deemed the job of pilot as inappropriate for women. One pilot, Helen Harrison, applied to the RCAF with an instructor’s license and a seaplane rating, multi-engine and -instrument endorsements, experience of flying civil and military craft in three countries, and 2,600 flying hours. She was turned away in favour of men with little more than 150 hours to their credit. Post-war, things didn’t get any better. Marion Orr, who was inducted into the Aviation Hall of Fame in 1981, had to go all the way to the Prime Minister’s Office for approval to open her own school and airfield. Stewardesses were in demand, but interviews involved leg and teeth inspections, and marriage meant instant dismissal. 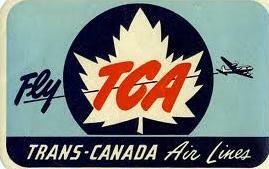 Trans-Canada Airlines, Pacific Western Airlines and Canadian Pacific Airlines told Helen Harrison that she was too weak to handle the controls. Dawn Dawson made it as far as the interview—only because the receptionist had spelled her name ‘Don’. Gradually, things improved—after a lawsuit or two. Lorna DeBlicquy, a flying instructor, bush pilot and flight-test examiner who started flying at age 15 and had 6,000 hours to her credit, sued Air Canada after two of her male students were hired and she was denied an interview, on the basis that she was too short and would require a specially-designed uniform. In 1977, DeBlicquy became Canada’s first civil aviation inspector and, in 1995, was awarded the Order of Canada. Finally, in 1973, Trans-Air hired Rosella Bjornson as the first and only female in a field of 2,800 pilots. Then other commercial airlines began hiring women. Today, although some still face prejudice and even hostility, increasing numbers of female pilots are working in military and civil aviation, and still more are air-traffic controllers and engineers. You need to fly somewhere. You want to get there quickly, efficiently and in a cost-effective fashion. Upon arrival at your destination, you grab your luggage and get a cab. Do you care which airport you fly into? And airports are essential. All air passengers have to use them, like it or not. So do airports need to market themselves? The answer to both questions is yes. It’s not something most of us think about, but airports do need to market themselves—vigorously—and the Vancouver International Airport Authority is particularly good at. 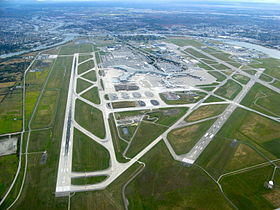 The Vancouver International Airport Authority (VIAA) is a 230-employee, not-for-profit, locally-controlled corporation to which, in 1992, Transport Canada passed the Vancouver airport’s management and operation. While the VIAA has taken flack for being secretive, it has done a tremendous job of managing, and selling, the Vancouver International Airport (YVR). When it took over, the VIAA’s first order of business was to position YVR as a gateway airport—not necessarily a destination terminal. It doesn’t appear so on a flat map, but Vancouver is the closest North American city to Asia. Travelers can save an hour by flying into Vancouver from, say, Beijing, to which it’s 800 miles closer than is Los Angeles. 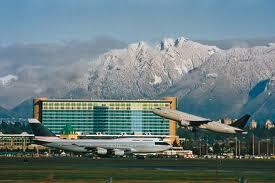 So YVR positioned itself as offering one-stop access to North America from Asia. It wants Asian travelers flying to the US, the rest of Canada, Latin America and Europe, to fly into, and transfer from, Vancouver. The other target was, and remains, the cruise industry. One million cruise ship passengers pass through Vancouver every summer. And they have a choice—they can fly into Seattle and drive up. YVR had to meet the arrival and departure requirements of all these international travelers, in addition to the needs of notoriously picky Canadians. The task was to create a facility that was efficient, comfortable and accommodating to everyone. 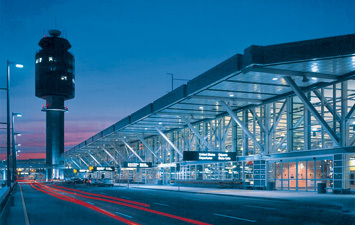 In 1996, the International Terminal Building opened as the first terminal of its kind in North America. It was designed especially for international connecting passengers, with state-of-the-art technology for ticketing, baggage handling and customs/immigration inspection. YVR’s location is, for an airport, incongruous. It’s only 20 minutes from downtown Vancouver but it’s on Sea Island, which is an environmentally-sensitive area. And it’s beside Richmond, a heavily-populated bedroom community. The VIAA pays rent ($64 m/yr) to the federal government, which owns the land, but it’s the caretaker of Sea Island and has to try to keep both environmentalists and Richmond residents happy. YVR was one of the first airports to introduce a de-icing system which eliminates the pollutant urea from its ice control program. It maintains water, air quality and noise monitoring systems. It uses electric vehicles. It has a mobile, 20-unit environmental emergency response team. Its waste management program annually handles 470 tons of paper and 127 tons of compostable food waste. Construction projects are monitored for environmental compliance. It uses dogs to prevent bird strikes and negate the need for pyrotechnics—although YVR is located in the avian Pacific Flyway, its bird strike rate is less than half of that at other Canadian airports. From the PR perspective, all of this works—a 1999 survey found that 75% of locals had a favourable impression of this corporate citizen. Then there’s cargo. YVR has positioned itself as the global distribution centre for cargo between the world’s major trading blocs, particularly Asia-Pacific and North America. It’s a 30-minute drive from the US border, and from the Port of Vancouver, which is served by most international shipping lines, four railways and 400 motor carriers. The central Cargo Village houses 130 transportation companies, forwarders, brokers and other related businesses. The VIAA’s positive relationship with Canada Customs, and a pre-arrival review system, allow for international shipments to be released within 45 minutes. YVR also offers pre-clearance of US-destined cargo through Free Trade Zones (Export Distribution Centres), a 25% discount on landing fees for international all-cargo flights, a fuel tax exemption on international air cargo and 24-hour operations, all of which makes for a vast reduction in air cargo costs. Obviously, cost reductions make an airport attractive. The pay-off of this investment and overlook-nothing organization is that, in 1999, 290,000 tons of cargo passed through YVR. That’s a 14% increase over 1998, far in excess of both forecasts and growth at other west coast airports. 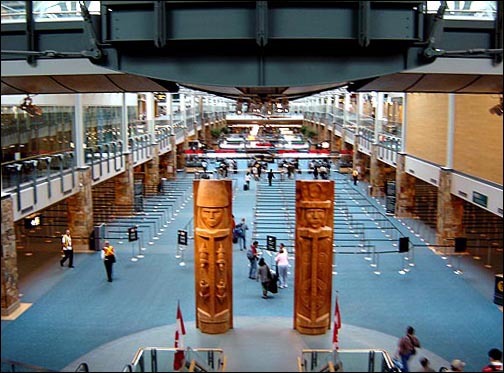 The International Terminal Building was meant to accommodate 8 million passengers; in 1999, 16 million passengers used YVR, allowing it to surpass San Francisco as the second-largest airport on the North American west coast. In 1994, airport revenue was $128 million, concession revenue $28 million. In 1999, airport revenue was $245 million, concession revenue $61 million. Today, YVR is one of BC’s most important economic engines, generating $4 billion in annual revenues. It supports 400 off-shoot businesses and 26,000 employees—more than the province’s mining and fishing industries combined. In the International Air Transport Association survey of leading airports, YVR was ranked #1 in North America; #4 internationally (behind Singapore, Copenhagen and Helsinki). Business Traveler Asia-Pacific magazine named YVR its airport of choice, Conde Nast Traveler placed it among the world’s top ten. It has become a management model for airports around the world. 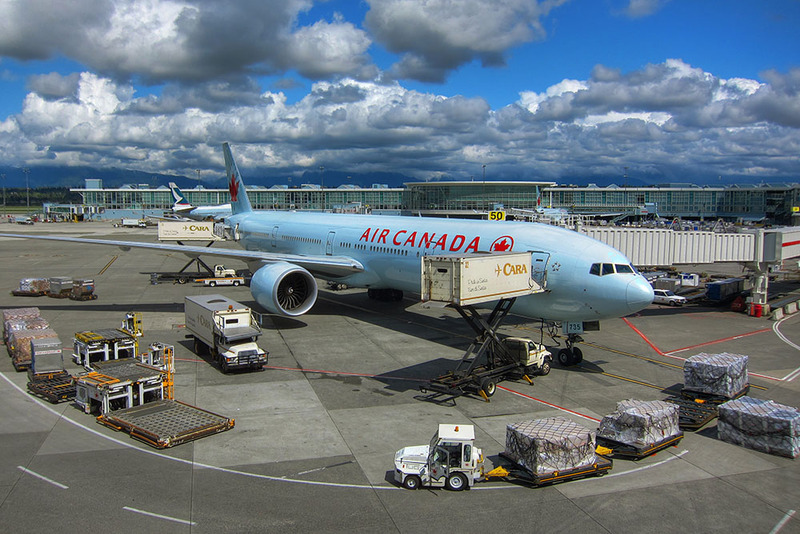 The VIAA subsidiary, Vancouver Airport Services (VAS), markets its expertise, operating philosophies and leading-edge systems to governments all over the world, which are rapidly dumping airport operation and financing on the private sector. VAS may take over whole airports, or perform specific services. It recently took over management of four airports in the Dominican Republic, as well as airports in Uruguay and Chile. It completed, for example, the business plan at St. Maartens, the reconstruction of the runway and apron at Moncton, the new retail plan at Wellington. It’s easy to see that an efficient, beautiful, fully-outfitted airport is going to be attractive to those who have to use it. But VIAA has to work as hard to sell YVR to everyone who needs an airport. Janice Antonson, the VIAA Manager of Aviation Marketing, explains: “A lot of people don’t think of airport management as a competitive business, but it is. Airlines and passengers have a choice of which airports to use. Back when Open Skies lifted restrictions on who could fly into Canada, we had a lot of new carriers flying into Vancouver and we had to compete with other west coast airports—LA, San Francisco and, to some extent, Portland. And we had to fill this new terminal. “We work with the carriers that fly into Vancouver and are the liaison between the tourism industry and the aviation industry. Once a route is brought into Vancouver, we help market that route. Our job is to ensure that all airlines that fly in, as well as travel agents and tour operators, are aware of the connections available through the airport, and the facilities and services we offer. “Education is a big part of the job of this marketing department. For example, to help Philippine Airlines establish the Manila-Vancouver route, I would go to the Philippines and meet with their employees, most of whom probably haven’t been here and don’t know the airport. I give a PowerPoint presentation on the airport and its location. I explain about Vancouver’s Transit Without Visa program, which means that most travelers connecting to the US, depending on where they come from, don’t need a Canadian visa. You come in on a flight from Hong Kong, you go immediately to US Customs, so you aren’t technically in Canada at all. Antonson also works closely with the cruise ship companies, through the VIAA membership (along with Tourism Vancouver, Tourism BC and the Port Authority) in the Pacific Rim Cruise Association. “We have to work with both the cruise ship companies, and with the airlines that feed the cruise business,” she explains. “Despite the cruise passenger traffic we already have, we actually suffer in the summer because we don’t have enough seats coming into Vancouver. Sometimes we lose up to 11 busloads a day to Seattle because all the flights coming into Vancouver are full. So we work very hard to encourage the airlines to put on a bigger aircraft and more flights. Antonson, who would not state her marketing budget, makes sales calls to travel professionals and, for travel agents and tour operators, she produces numerous brochures, maps and booklets—everything they need to know about the airport, its facilities, its connections, and what happens to passengers upon their arrival. For others, annual reports, Skytalk Magazine and the annual Airport Business Report, are helpful. Then there’s the hard-core process of convincing the airlines to book their routes into Vancouver. All of that goes on in boardrooms during months of negotiations. “Our Air Service Development people are in charge of negotiating with the airlines,” continues Antonson. “Some airlines approach us, we approach some. It’s an extremely complicated business and most people have no idea of what goes on behind the scenes. We can’t have carriers landing here unless they can feed into the rest of the network—they have to be able to pick up traffic elsewhere, they have to have the right aircraft and the capacity to service the route. During negotiations, they discuss everything from who the ground handlers will be, to slot times, to catering, to aircraft size, frequency of flights, destinations, where their airport offices will be. Most airports don’t even have marketing departments—just communications offices. But as YVR was the first Canadian airport to privatize, the VIAA may have felt pressure to succeed, or saw it as an opportunity to do something very well. Either way, very little has not been done well.